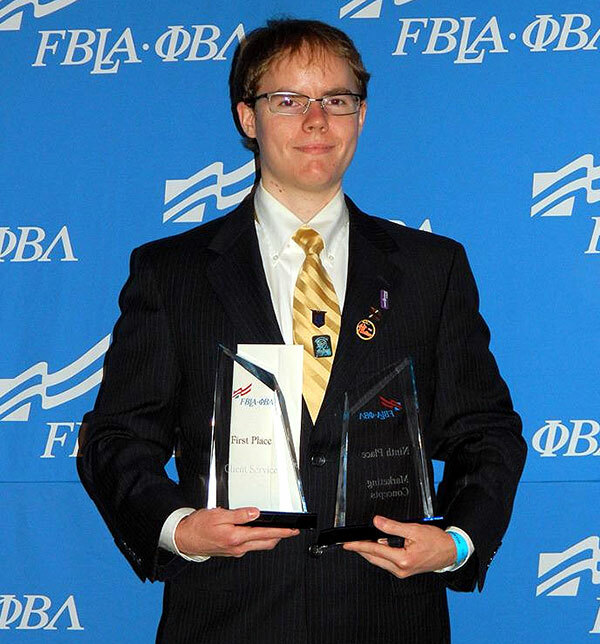 Kaleb Clark, a senior majoring in marketing at Middle Georgia State College, placed first nationally in a competitive event at the recent National Leadership Conference of Phi Beta Lambda in Nashville, Tenn.
Clark, who is from Jasper, Ga., placed first in client service, a performance where participants are given a broad case study involving customer service and must come up with and communicate a solution to a problem in a short amount of time. Clark also place 9th in the nation in marketing concepts, a written test. Phi Beta Lambda is the college-level division of Future Business Leaders of America, a nonprofit education association with a quarter million students preparing for careers in business and business-related fields.